Did you guys have this game? Loved it. Played it all the time. Do they have some kind of electronic version now or anything? Have a happy Throwback Thursday! This entry was posted in Uncategorized and tagged 80s, 80s games, Board Games, Catch the Rush, Google Images, Hungry Hippos, Lynn Rush, Paranormal Romance, Throwback Thursday, Throwback Thursdays by Lynn Rush. Bookmark the permalink. Always wanted this one, but never had it. Fun game, though! Great memory! Happy Throwback Thursday! They still make that game. When my nephew was about 4 (he’s 7 now), he just had to have it and we played it all the time until about a year and a half ago. I never had it as a kid though. My parents weren’t into board games so they never got any for us kids either. 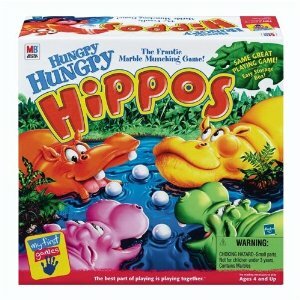 I didn’t have this game, but my cousins did. My aunt was really into the kid games and made sure her girls had nearly all of them. 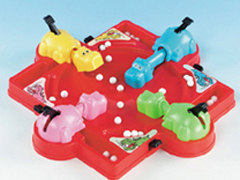 Hungry Hungry Hippos wasn’t played as much because of the competitiveness between the four of us and *cough* those things can’t stand up to that much whacking! LOL Great throwback! I think they still have this game at Target. I almost picked it up but my kids are so into chess right now. My seven-year-old taught my five- year-old last week. They are a riot.